LOS ANGELES (Dec. 4, 2018) – Awkwafina (Crazy Rich Asians, Ocean's Eight) and Laverne Cox (Orange Is the New Black, the upcoming Bad Hair) will announce the nominees for the 25th Annual Screen Actors Guild Awards® on Wednesday, Dec. 12 at the Pacific Design Center in West Hollywood, Executive Producer Kathy Connell announced today. The nominations announcement will be carried live on TNT, TBS, truTV, tntdrama.com/sag-awards, truTV.com and sagawards.org at 10 a.m. (ET) / 7 a.m. (PT).  The Actor® Nominations also can be viewed via TNT’s Facebook, Twitter @TNTdrama and YouTube channels and TBS’s Facebook, Twitter @tbsnetwork and YouTube channels. SAG-AFTRA President Gabrielle Carteris will introduce Awkwafina and Cox. Before that announcement, this year's stunt ensemble action performance nominees will be announced by SAG Awards Committee Chair JoBeth Williams and SAG Awards Committee Member Elizabeth McLaughlin during a live webcast on tntdrama.com/sag-awards and sagawards.org at 9:50 a.m. (ET) / 6:50 a.m. (PT). The 25th Annual SAG Awards will be simulcast live on TNT and TBS on Sunday, Jan. 27, 2018 at 8 p.m. (ET) / 5 p.m. (PT). TBS and TNT subscribers can also watch the SAG Awards live via the networks’ mobile and smart TV apps. In addition, TNT will present a special encore of the ceremony at 11 p.m. (ET) / 8 p.m. (PT). Gabrielle Carteris was re-elected SAG-AFTRA president on August 24, 2017. She became president April 9, 2016 after serving two terms as executive vice president. Carteris chairs the National TV/Theatrical Contracts Negotiating Committee and leads the President’s Task Force on Education, Outreach and Engagement. Carteris is a vice president of the AFL-CIO and serves on the executive council and represents SAG-AFTRA with the International Federation of Actors (FIA). Having become a global household name as “Andrea Zuckerman” on Beverly Hills, 90210, she has recently appeared in a recurring role on Code Black and in guest-starring roles on shows like Criminal Minds, Longmire, The Middle, and the television movie 12 Christmas Wishes. As a producer, Carteris created Lifestories,a series of specials, and Gabrielle, a talk show which she also hosted. Awkwafina, whose given name is Nora Lum, had a remarkable summer in 2018 in key roles of two Warner Bros. films. She featured as “Peik Lin” in the romantic comedy Crazy Rich Asians, and also was one of the titular gang in the heist adventure Ocean's Eight. Lum’s previous films include the indie comedy Dude and the comedy Neighbors 2: Sorority Rising with Seth Rogen, Zac Efron and Rose Byrne, along with being the voice of “Quail” in the animated adventure Storks. She will next be seen in the near-future psychological thriller Paradise Hills, which will premiere at the 2019 Sundance Film Festival. On television, Lum is currently developing a scripted series with Comedy Central in which she will also star. Earlier she played recurring roles in Girl Code and in Future Man, in addition to hosting Saturday Night Live in 2018. Lum is also a successful rap musician and has written a travel guide to New York. Awkwafina can be found online at Awkwafina.com and as @awkwafina on Instagram, Twitter, YouTube and Facebook. Laverne Cox is a two-time SAG Awards winner and two-time Emmy® nominated actor for her portrayal of “Sophia Burset” on the Netflix original series Orange Is the New Black. She additionally won a Daytime Emmy as executive producer on the documentary, The T Word. Cox is the first trans woman of color to have a leading role on a mainstream scripted television show and the first openly trans person to be nominated for an Emmy in an acting category. Cox recently shot a guest starring role on Weird City, YouTube’s upcoming half-hour comedic sci-fi anthology from Oscar® and Emmy® winner Jordan Peele. She also completed the film Bad Hair. Cox’s other television work includes Lifetime’s Glam Masters, where she served as host and executive producer, a starring role on CBS' Doubt and the iconic role of “Dr. Frank-N-Furter” in the two-hour Fox remake, The Rocky Horror Picture Show: Let's Do the Time Warp Again. In addition, Cox has appeared in Paul Weitz’ Grandma, Trudie Styler’s Freak Show, Fox’ The Mindy Project, Bravo's Girlfriend's Guide to Divorce, MTV's Faking It, and many others. Cox is currently working on the documentary Disclosure: Trans Lives on Screen as an executive producer. She also continues her advocacy on behalf of the LGBTQ+ community. Laverne Cox can be found online at lavernecox.com, as @lavernecox on Instagram and Twitter, and as @lavernecoxforreal on Facebook. JoBeth Williams chairs the SAG Awards® Committee and is president of the SAG-AFTRA Foundation Board. Her film debut in Kramer vs. Kramer led to starring roles in films like Poltergeist, The Big Chill, Stir Crazy, Fever Pitch and What the Night Can Do. On television, she starred in event movies such as My Name is Bill W. and Sybil, and series including Hart of Dixie and John Grisham's The Client. Williams has been nominated for three Emmys®, two Golden Globes® and an Oscar®. She will next be seen as “Sherry” in the military drama SGT. Will Gardner. Elizabeth McLaughlin joined the SAG Awards Committee in 2017 and also serves on the Board of Directors for SAG-AFTRA's Los Angeles Local. She began accumulating her fan following in 2008 as the lead in The Clique, after which she played dozens of parts on stage and on screens both big and small, including Pretty Little Liars, First Day, Betrayal and Code Black. McLaughlin starred in Hand of God and is currently filming a recurring role in the upcoming series Grand Hotel. She recently received the Rising Star Award from the Palm Springs Women in Film & Television chapter of WIFT International.